December | 2018 | H.A.W.K.S. 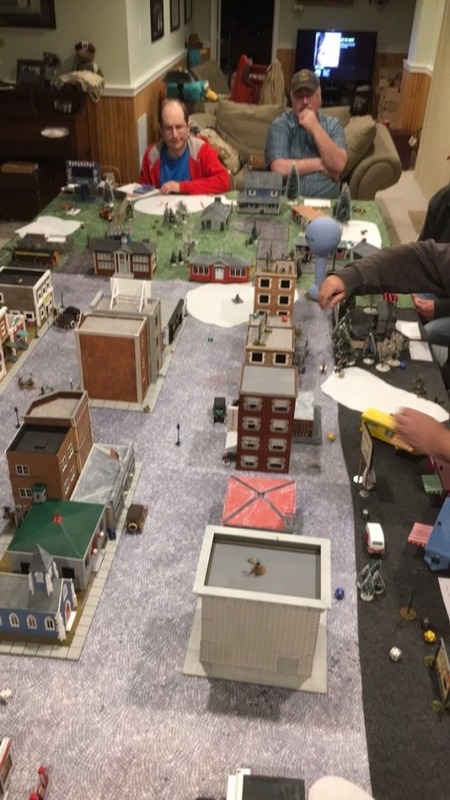 Space aliens attacking an American town using Combat Patrol. HAWKs New Year’s Eve game. A zombie Christmas Story. 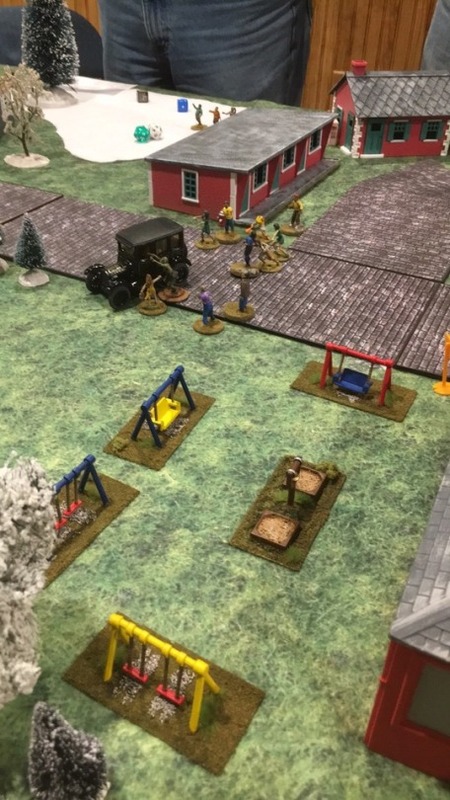 The characters are collecting things like the Red Ryder BB gun and the bunny slippers while the zombies get in the way. Happy New Year’s Eve everybody. 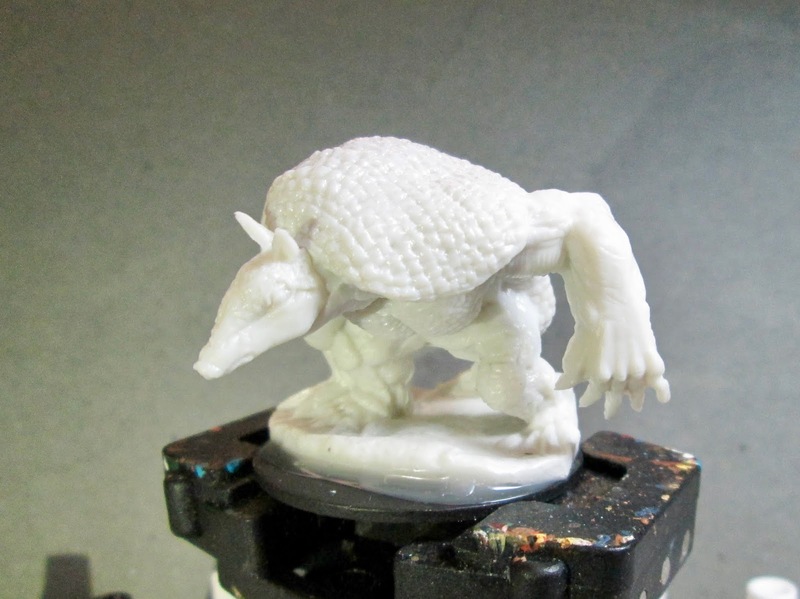 It’s been a hectic week here this past week between Christmas Day and today, so, though I got a Bones figure all ready to paint, I never got a chance to work on it. Instead, I thought I’d show off the Reaper Nativity set I painted for my wife for Christmas, even though it’s metal. Unfortunately, due to time again, I didn’t get it totally done yet. 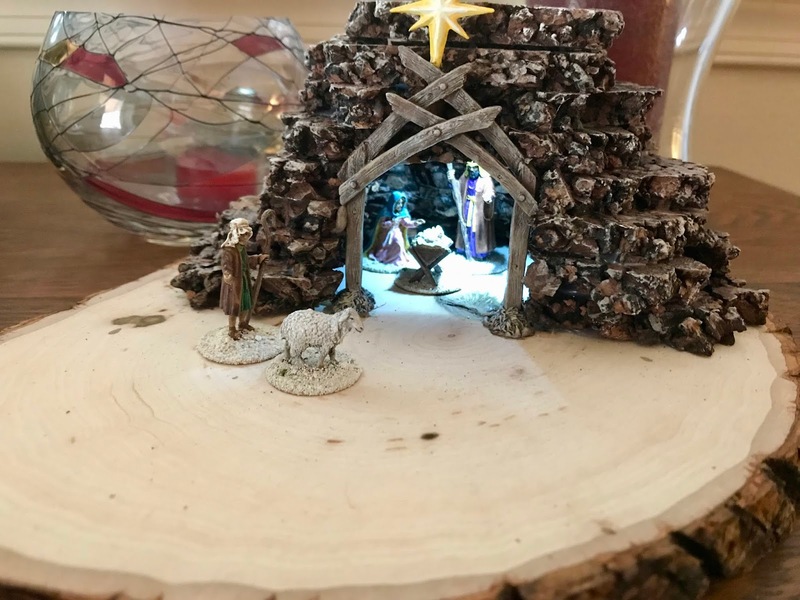 I decided I wanted to set the nativity in the more historical cave setting, than in the traditional wooden stable; so I set about using broken up cork tiles to make the cave. 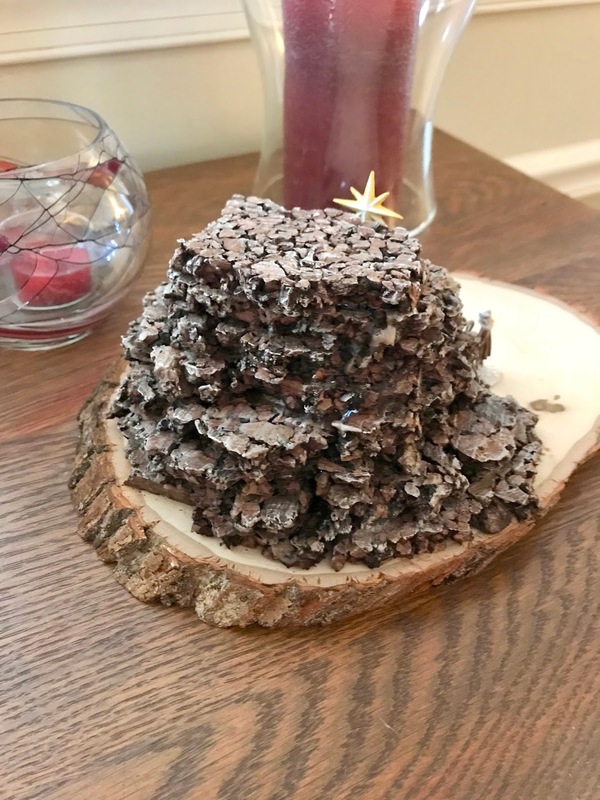 I used hot glue to stack them on a tree cross-section I got at the local big box craft store. 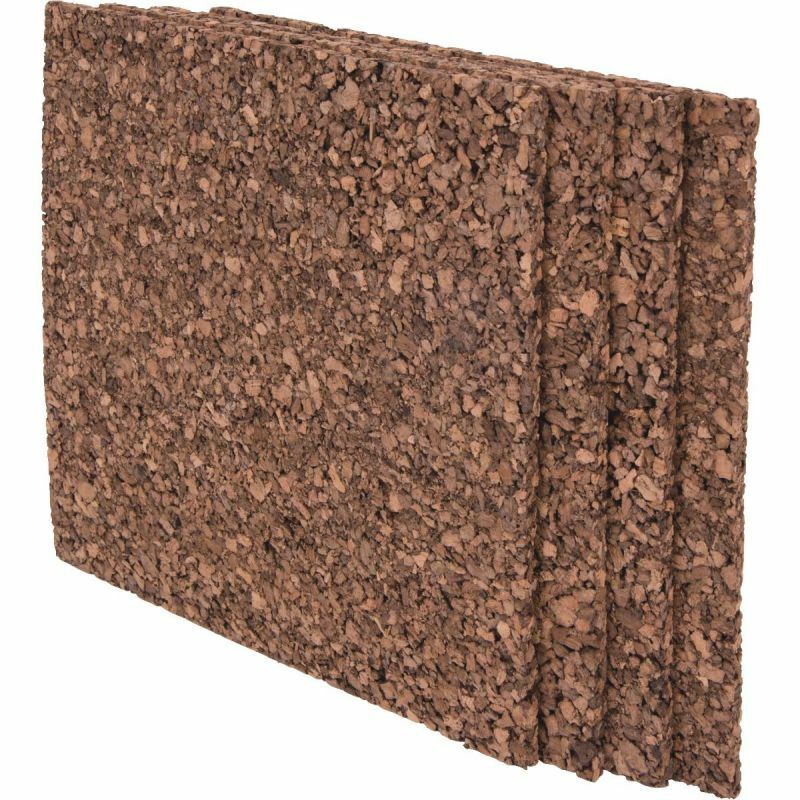 This is the kind of tile I used to make the cave. 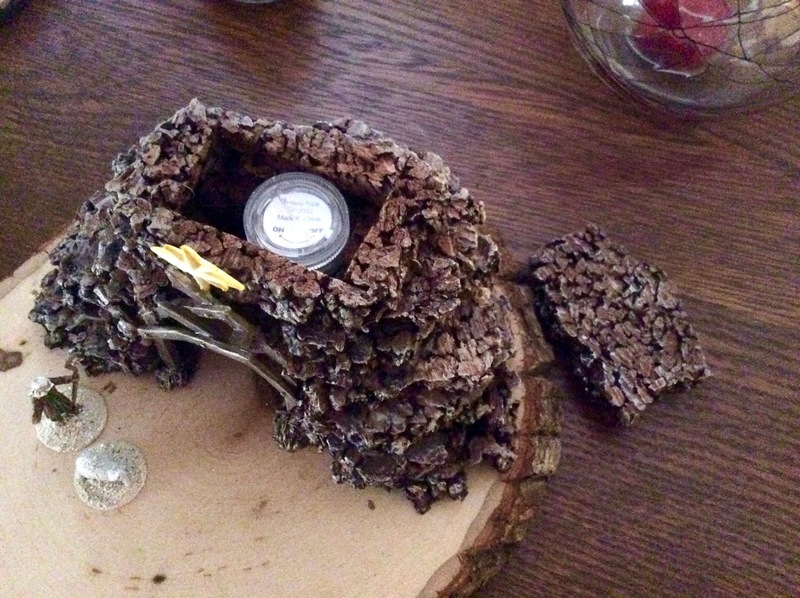 I added a little hidden compartment in the top that I could place a small tea-light in order to illuminate the interior. 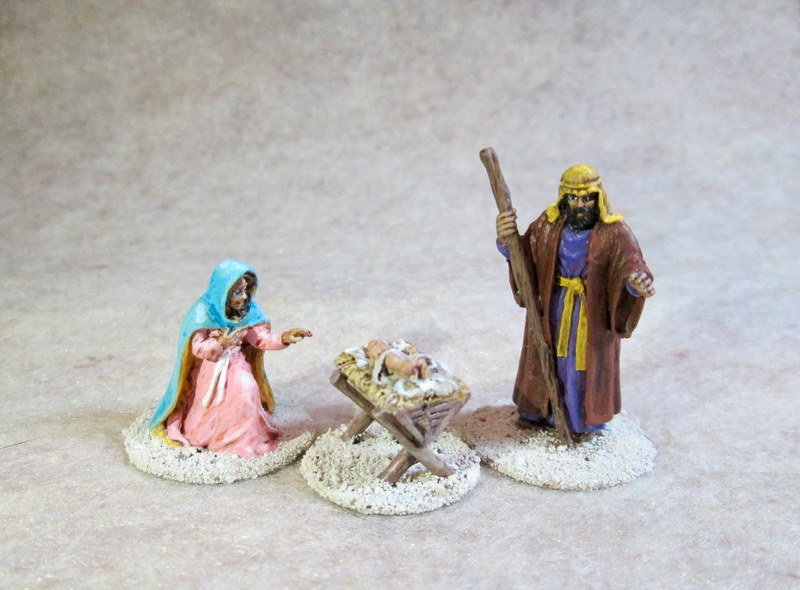 I first painted Mary, Joseph, and the Baby. 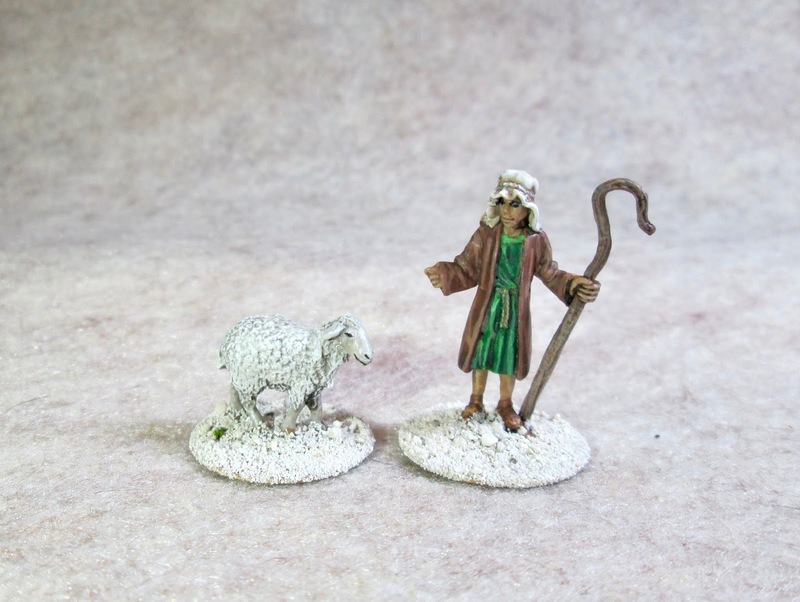 And then as time allowed, I painted the Sheep and Shepherd, since they were quick and simple figures. And this is how it looked all put together. 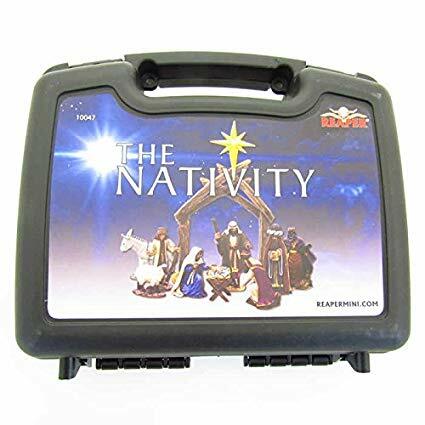 There is a Donkey yet, and the three Wise Men, that will be added. I eventually would like to add an appropriate Angel, and perhaps a Cow as well, though they are not included in the kit. See you all in 2019! It’s hard to believe, but the arrival of the Bones 4 Kickstarter could be in less than two months! 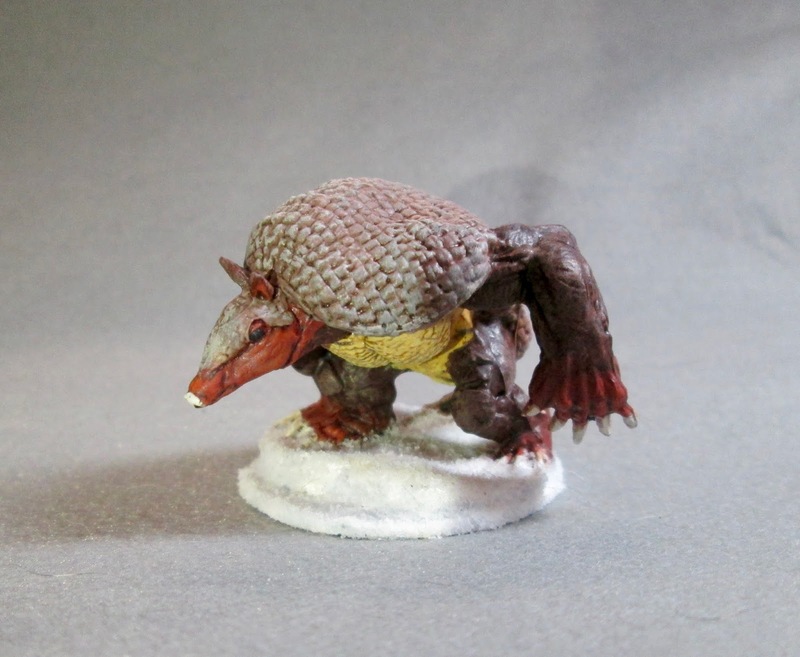 Were-armadillo: Bones 3 Figure, as the Holiday Armadillo! This past week I once again mined my Bones backlog for something quick and simple that I could squeeze in painting among the usual pre-Christmas chaos. 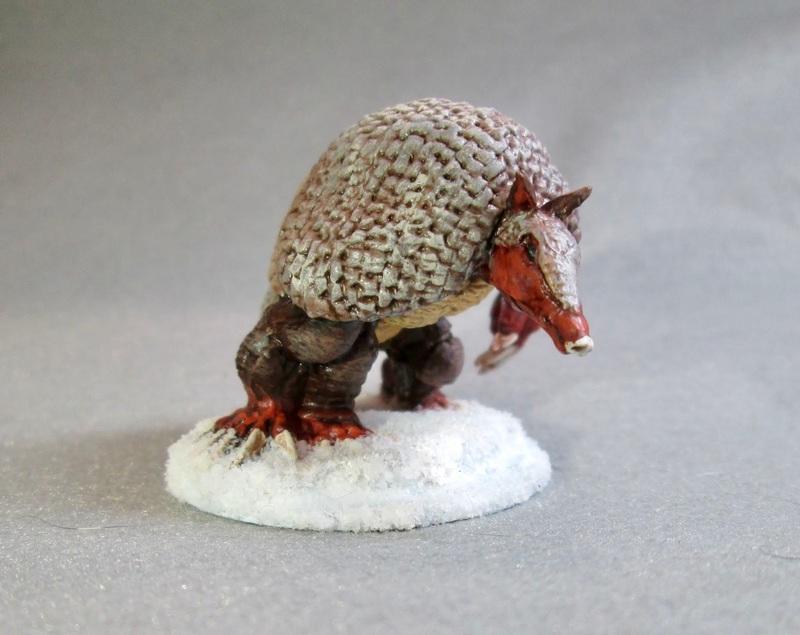 I also, wanted something I could give a Holiday or Winter spin, and thus I landed on the Were-armadillo figure from the Bones 3 Stoneskull Expansion, which I thought would make a pretty good “Holiday Armadillo”. 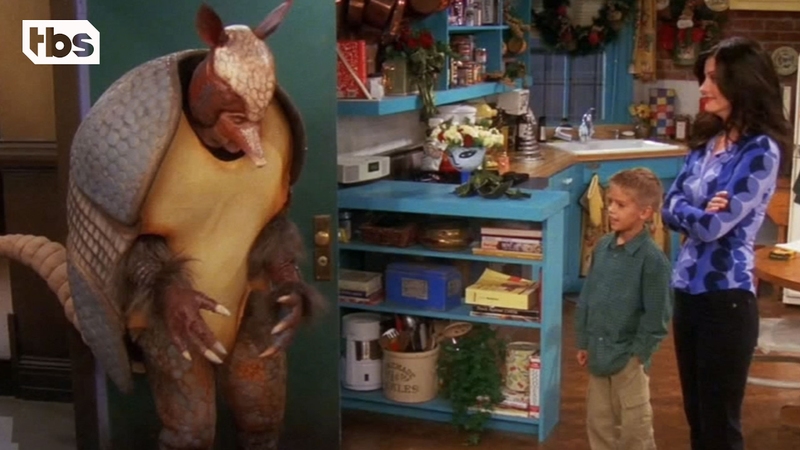 For those of you who weren’t regular watchers of the 80s-90’s sitcom “Friends”, the Holiday Armadillo is a character made up by one of the show regulars, named Ross, in one of the Holiday episodes. Ross wants to teach his son, who is half Jewish, about Hanukkah instead of focusing on the Christmas holiday as is usually the case. In the end though, Ross gives in to his son’s desire for Santa to visit, and tries to rent a Santa costume, only to find out there are none available. In a desperate move, he settles for an Armadillo costume, and comes up with the story that he’s the Holiday Armadillo, Santa’s half-Jewish friend and assistant. This leads to a great opportunity for Ross to talk about Jewish traditions with his son. In subsequent years, the Holiday Armadillo has taken on a bit of a life of its own, and a quick Google search reveals all sorts of T-shirts and ornaments available for purchase, as well as a generous assortment of memes. My goal was to try and copy, as best I could, the coloration of the costume. I prepped the figure in the usual way; soaking it in a dish of water with a couple drops of dish-soap added, then giving it a light scrub with a soft toothbrush, and then rinsing and drying it. 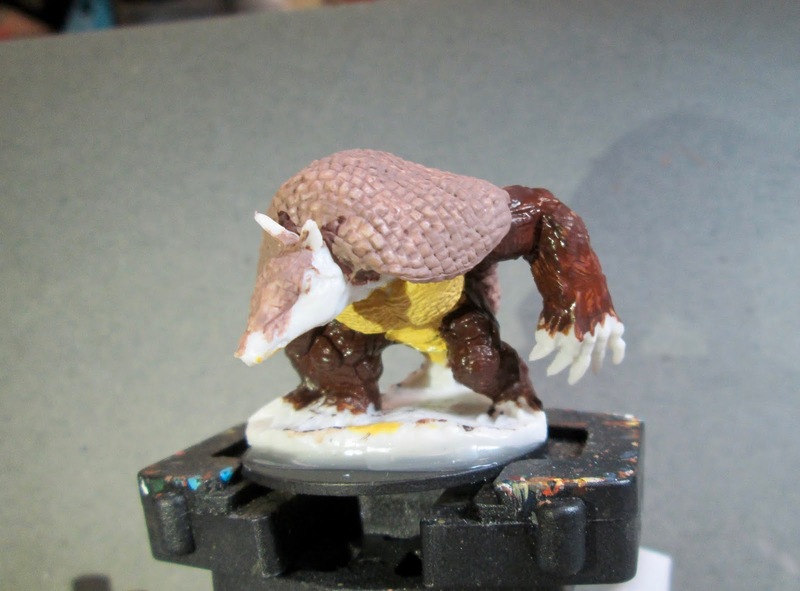 I then, after clipping the edges of the figure’s integral base to make it smaller, glued the figure to a black-primed 1.5" fender washer with Aleene’s Tacky glue, and then placed the figure in my painting grip. I began by painting his back armor with Americana “Mississippi Mud”, and then his chest plates with Accent “Golden Harvest”. 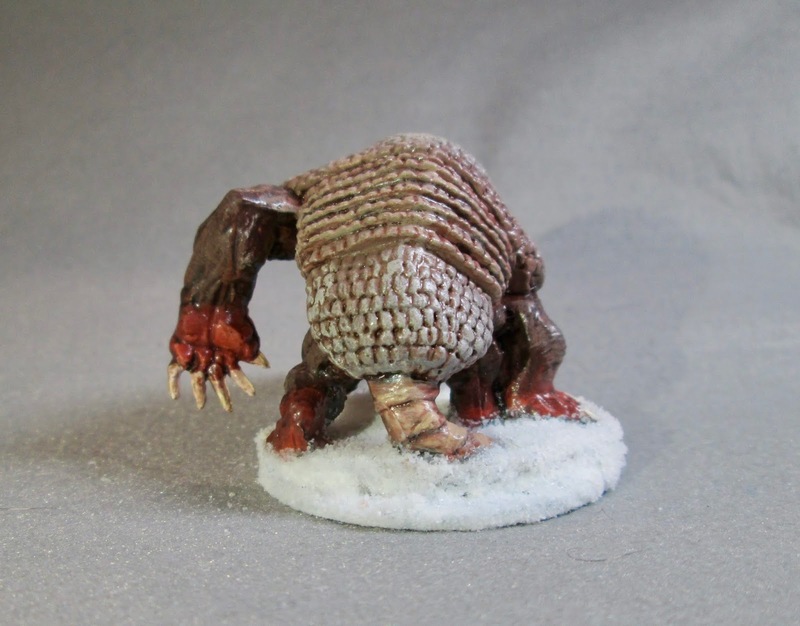 After that, I painted his legas and arms with Accent “Real Umber”. I then decided to repaint the middle back armor section with Folk Art “Teddy Bear Brown”, and . used the same color to paint his tail. Afterwards, I painted his face and hands with Anita’s “Burnt Sienna” and then painted his claws and nose with Americana “Bleached Sand”. Then, after everything had overnight to dry, I gave the entire figure a coat of Citadel “Agrax Earthshade” wash. When the wash was dry, I drybrushed is upper and lower back armor, as well as the small bit of armor on his head with Crafter’s Acrylic “Storm Cloud Grey”, and then a little Folk Art “Platinum Grey”. I then painted the eyes ceramcoat “Black”, and highlighted his face and hands with a mix f the base “Burnt Sienna”, and some Crafter’s Acrylic “Orange Spice”. 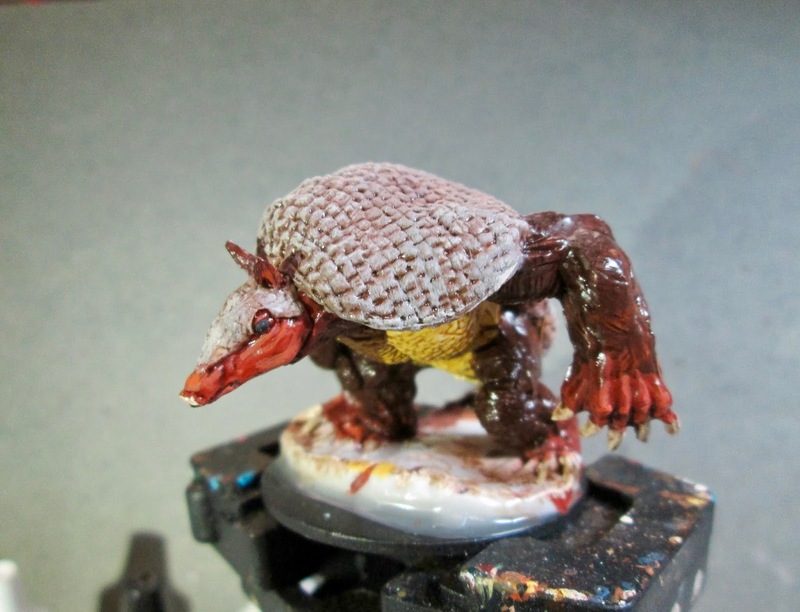 Next, I highlighted the middle section of back armor with a mix of the “Storm Cloud Grey and Americana "Khaki Tan”, and then highlighted his underbelly with Crafter’s Acrylic “Daffodil Yellow”. 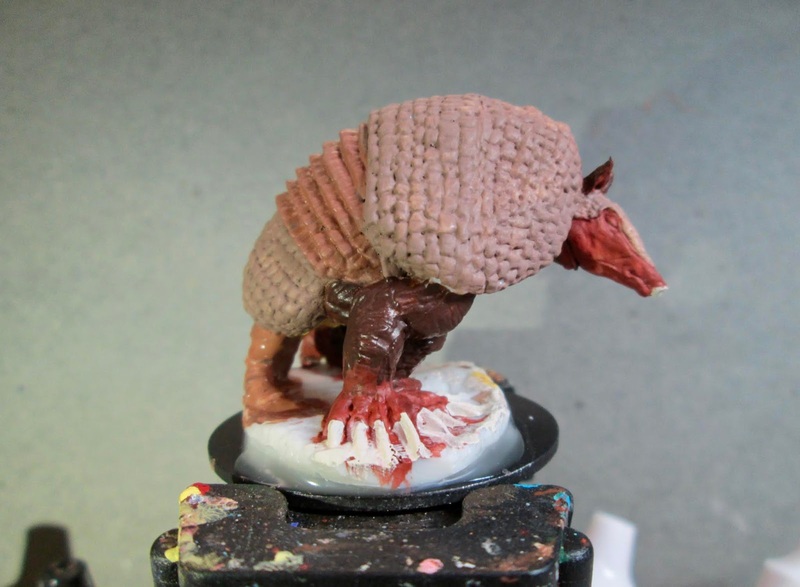 After that, I highlighted his arms and legs with a drybrush of Americana “Neutral Grey” mixed with Americana “Light Cinnamon”, and highlighted his claws and nose with the base “Bleached Sand”. I wrapped things up by highlighting his tail with the “Khaki Tan”. I let the figure sit overnight, and the next morning I gave it a coat of Americana “DuraClear Matte” varnish. 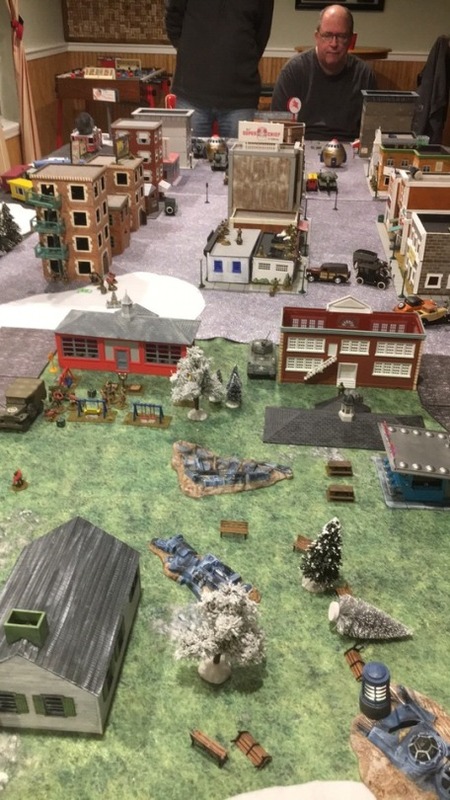 Later that afternoon I flocked the base using Woodland Scenics snow flocking. Another overnight dry, and I sprayed them with Testor’s Dullcote". I’m happy with how this fellow turned out. The yellow should have been a little paler to truly match the costume; and seeing the final photos, I see I need to go back and add some tiny reflection dots to the eyes, but overall I think I came pretty close. First blood! Don kills Chris’ Pz II. Super Awesome Fun Napoleonics at HAWKs night. What a Tanker at HAWKS night.